The Bedfordshire and Hertfordshire Regiment was the final title of an infantry regiment of the line in the British Army, originally formed in 1688. The lineage of the regiment is today continued by the Royal Anglian Regiment. The origins of the regiment go back to 9 October 1688 when the raising of Archibald Douglas’ Regiment of Foot was authorised by King James II in response to the threat posed to his throne by Prince William of Orange. The regiment was raised in the southern counties of England, and was embodied in Reading, Berkshire. The new regiment was ordered to London to oppose William’s forces, but refused to fight. James fled the country, allowing William to become king. Colonel Douglas, an adherent of the displaced monarch, was replaced by Robert Hodges and the regiment was allowed to continue in existence as part of William’s army. The installation of William as king involved England in the wider Nine Years War. The regiment quickly embarked for service overseas in April 1689, forming part of the Anglo-Dutch forces in the Netherlands. They fought at the battles of Walcourt (1689), Steenkirk (1692) and Neer Landen (1693). In 1695 they took part in the siege and capture of Namur and remained in Flanders until the Treaty of Ryswick ended the war in 1697. From 1697–1701 the regiment was stationed in Carrickfergus in Ireland. By June 1701 war had again broken out with France, and it sailed for the Netherlands once more. The regiment saw continuous service in the Netherlands and Germany from 1702–1712 under the command of the Duke of Marlborough. They participated in the capture of Liège in 1702, the Battles of Schellenberg and Blenheim in 1704, the Battle of Ramillies in 1706, the Battle of Oudenarde and Siege of Lille in 1708, and the Battle of Malplaquet in 1709. In 1714 the regiment sailed from Dunkirk to Leith in Scotland. It was subsequently stationed in Stirling before moving to garrison Fort William during the Jacobite Rising of 1715. The regiment remained on home service duties at various locations in Great Britain. In 1739 war broke out with Spain. The conflict, later dubbed the War of Jenkins’ Ear, was mostly fought in the Caribbean and North America. The regiment briefly served as marines in 1740, before sailing for the West Indies. It arrived in Jamaica in January 1741, with a detachment subsequently taking part in the unsuccessful Battle of Cartagena de Indias in present-day Colombia later in the year. The assault took place in torrential rain and the troops were nearly wiped out by disease. In the meantime the conflict had widened out into the War of the Austrian Succession. 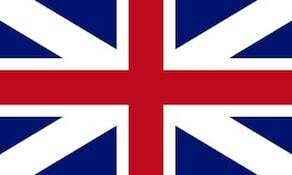 The regiment returned to England in 1742, and was ordered to Scotland to help repel the Jacobite Rising of 1745. By the time it arrived in Edinburgh the rebellion had been defeated, and the regiment remained on garrison duty at various Scottish locations until 1749, in which year it moved to Ireland. In 1751 a royal warrant declared that regiments should no longer be known by the name of their colonel, but their number in the order of precedence, and Handasyd’s duly became the 16th Regiment of Foot. The 16th Foot remained in Ireland until 1767, when it sailed to Florida, establishing a headquarters at Pensacola with detachments in various areas of the territory. When the American War of Independence broke out in 1776, the regiment was ordered to New York, but returned south in the following year to various garrisons in Florida and Georgia. In 1778 Spanish forces invaded the area from Louisiana, and part of the 16th was captured with the fall of Baton Rouge. Other detachments helped repel French attacks on Savannah in September 1779 and Pensacola in May 1781. The remains of the 16th Foot returned to England, arriving in March 1782. In August 1782 county designations were added to the numbers of the regiments of foot to encourage recruitment. The regiment duly became the 16th (Buckinghamshire) Regiment of Foot. With the end of the American war, the regiment was reduced to a peace-time compliment in 1783, and in the following year moved to garrison duty in Ireland. In August 1790 the 16th Foot sailed to Nova Scotia, moving in the following year to Jamaica. In 1793 the French plantation-owners of the colony of Saint-Domingue signed an agreement to place the territory under British sovereignty in return for assistance in halting a slave rebellion. Soldiers of the 16th Foot formed part of the British detachment, but they were all but wiped out by disease: only one officer and one sergeant of the 16th returned alive to Jamaica in 1794.The 16th Foot, as part of the garrison of Jamaica, fought in the Second Maroon War in 1795–96, before returning to England late in 1796. The much-depleted regiment attempted to recruit in Scotland, before being brought up to strength by volunteers from English militia regiments in 1798. From 1799–1804 the 16th Foot was stationed in England, Scotland and Ireland. In January 1804 the 16th Foot sailed for Barbados, arriving in March. On arrival it formed part of an expeditionary force formed to capture the Dutch colony of Surinam. In May the Dutch forces surrendered. Detachments of the regiment remained at various locations in Barbados and Surinam, returning gradually to England between 1810 and 1812. Following the Indian Mutiny of 1857, the British Army took over responsibility for maintaining a garrison in the sub-continent from the Honourable East India Company. This new commitment necessitated an increase in the size of the army, and the 1st to 25th regiments of foot were each authorised to raise a second battalion. Accordingly the 16th Foot raised a second battalion in Ireland in July 1859. In 1861 both battalions sailed separately to Canada, as part of a reinforcement of British forces there in reaction to the American Civil War. The diplomatic crisis brought about by the Trent Affair increased tensions, with expectations of war against the United States only receding in 1862. The 1st Battalion left Canada for Bermuda in 1865 and the 2nd moved to Barbados in 1866. In 1869 the 2nd Battalion returned to England, with the 1st Battalion moving to Ireland in 1870. The 1st Battalion remained at various home stations in Jersey (Channel Islands), England and Ireland, while the 2nd Battalion moved to Madras in India in 1876. In 1873, under reforms introduced by the Secretary of State for War, Edward Cardwell a “localisation” scheme for infantry came into effect. This divided the country into sixty-six geographical Brigade Districts (generally consisting of one or more counties), with a depot established in each district. Each depot became the base for two paired infantry battalions, and at any one time one battalion was on foreign service while the other was on home duties. The 16th Foot was assigned the 33rd Brigade District, consisting of the county of Bedfordshire, and a permanent depot was established at Kempston Barracks outside Bedford. On 1 July 1881 the Childers Reforms came into effect. These were the logical continuation of the 1873 reforms: the regimental numbers of infantry regiments were replaced with territorial titles, “brigade districts” were renamed as “regimental districts”, and the local militia and rifle volunteer corps were affiliated to the new regiments. Accordingly the 16th Foot became The Bedfordshire Regiment. The regimental district comprised the counties of Bedfordshire and Hertfordshire. In 1900 the 4th (Huntingdonshire) Volunteer Battalion was also raised. The following year the Hertfordshire Battalion left the regiment to become the 1st Battalion The Hertfordshire Regiment. On formation, the 1st Battalion the Bedfordshire Regiment was stationed at Newry in Ireland, while the 2nd was in India. The 1st Battalion remained on home service in England and Malta until 1889, when it sailed for India. In 1895 it formed part of the force that took part in the Relief of Chitral. The battalion left India in 1907, arriving in England via Aden in the following year. In 1913 they were posted to Mullingar in Ireland. The 2nd Battalion served in India and Burma until 1891 when it returned to England, moving to Dublin in 1898. From there it moved to South Africa in 1900, taking part in the Second Boer War. In 1903 it returned to England and moved to Gibraltar in 1907, Bermuda in 1910 and to South Africa in 1912. The Bedfordshire Regiment was greatly expanded during the First World War and was engaged in Europe and the Middle East. The 1st (Regular) Battalion was mobilised from garrison duty in Ireland in August 1914 and fought as part of the 5th Infantry Division from the Battle of Mons in August 1914 to the Battle of the Sambre on 4 November 1918. The battalion served in every sector of the Western Front as well as in northern Italy, with Private Edward Warner winning a posthumous Victoria Cross on Hill 60 in May 1915. The 2nd (Regular) Battalion was mobilised from garrison duty in South Africa and landed in Zeebrugge on 6 October 1914, within the ‘Immortal’ 7th Infantry Division. It was engaged from the First Battle of Ypres in October 1914, through to the Battle of the Sambre (1918). It served entirely on the Western Front, with Captain Charles Calveley Foss winning the Victoria Cross during the Battle of Neuve Chapelle in March 1915. The 3rd (Reserve) Battalion provided home defence in and around Felixstowe, Suffolk and remained there throughout the war. The 4th (Special Reserve) Battalion were initially posted to the Felixstowe and Harwich garrisons but were mobilised in July 1916, joining the 63rd (Royal Naval) Division on the Western Front that month. It was engaged from the Battle of the Ancre in November 1916, to the Passage of the Grand Honelle during the Hundred Days Offensives; its last shots being fired in anger on 10 November 1918. Acting Lieutenant-Colonel John Stanhope Collings-Wells won a posthumous Victoria Cross in March 1918 whilst commanding the battalion through the German Spring Offensive (Operation Michael). The 5th (Territorial) Battalion were mobilised in August 1914 and, after providing home defence in East Anglia, sailed for Gallipoli in July 1915. It served in the 54th (East Anglian) Infantry Division during the Gallipoli Campaign, and in Egypt and Palestine. Private Samuel Needham won the Victoria Cross in September 1918 but died from accidental gunshot wounds sustained after the armistice, on 4 November 1918. The 5th Battalion were redesignated as the 1st/5th Battalion on the formation of a 2nd/5th (Reserve) Battalion in 1914, which was supplemented by the 3rd/5th (Reserve) Battalion the following summer. Both reserve battalions remained on home defence duties in the U.K., finding and training drafts for the front line 1st/5th Battalion, until they were merged into a single reserve battalion in 1918. The resulting reserve battalion was disbanded in March 1919. Three ‘Service’ battalions were raised to serve abroad, being the 6th, 7th and 8th Battalions, in addition to the 9th and 10th (Service) Battalions who remained at home to find and train drafts for the combat units. These were formed around a nucleus of Regular and Reserve soldiers who trained the civilian recruits that flocked to form Kitchener’s Army in 1914. The three battalions were raised as part of Kitchener’s First, Second and Third New Armies respectively. The 6th (Service) Battalion served on the Western Front in the 37th Infantry Division from July 1915 until disbanded in May 1918, when the men were folded into the 1st Battalion of the Hertfordshire Regiment. Second Lieutenant Frederick William Hedges from this battalion won the Victoria Cross while attached to the 6th Battalion, Northamptonshire Regiment in October 1918. The 7th (Service) Battalion served entirely on the Western Front in the 18th (Eastern) Division from July 1915 until it was disbanded in May 1918. Second Lieutenant Tom Edwin Adlam won the Victoria Cross during the battalion’s assault against the Schwaben Redoubt in September 1916 and stretcher bearer Christopher Augustus Cox won the battalion’s second Victoria Cross during operations opposite Achiet Le Grand in March 1917. When the battalion was reduced to a cadre in May 1918, the personnel were folded into the 2nd (Regular) Battalion, who took their place in the 18th (Eastern) Division. The 8th (Service) Battalion initially served in the 24th Infantry Division until it moved to the Western Front, when it was transferred to the 6th Infantry Division. One of the few New Army battalions to be committed to the Battle of Loos in September 1915, the battalion were disbanded in February 1918 and its personnel folded into the other Bedfordshire Regiment battalions on the Western Front. The 9th (Service) Battalion was raised in October 1914 as part of ‘K4’ (Kitchener’s 4th New Army), being replaced by the 28th (Training Reserve) Battalion in August 1916. The 10th (Service) Battalion was formed in December 1914, becoming the 27th (Training Reserve) Battalion in September 1916. October 1917 saw it redesignated as the 53rd (Young Soldier’s) Battalion, who provided basic training for 18 year old conscripted men, which enabled them to be ready for foreign service once they became eligible. In February 1919 the battalion was designated as a Service Battalion and, alongside the 51st and 52nd (Graduated) Battalions, formed the 2nd Eastern Brigade of the Eastern Division. Collectively, this brigade was referred to as the Bedfordshire Brigade and served around Cologne, Germany, in the Army of Occupation (as part of The Army of the Rhine). The 11th (TF) Battalion was formed in December 1916, to replace the 68th (Provisional) Battalion and remained on home service in Suffolk until it was disbanded in July 1919. In addition, the 12th and 13th (Transport Workers) Battalions were raised in 1916 and 1917 and the 1st, 2nd and 3rd Garrison Battalions served in India and Burma. The Hertfordshire Regiment raised three further reserve battalions (the 2nd/1st, 3rd/1st and 4th/1st Battalions) and its front line 1st/1st Battalion served on the Western Front from November 1914 until 1919, with Corporal Alfred Alexander Burt and Second Lieutenant Frank Edward Young winning Victoria Crosses (posthumously) in 1915 and 1918 respectively. The 1st/1st Hertfordshires were attached to the 4th (Guards) Brigade on its arrival in France in 1914 and became known as the ‘Herts Guards’. The nickname ‘2nd Micks’ was also associated with them after their unfliinching support of the 1st Battalion, Irish Guards’ assault against the German position known as Brickstacks near Cuinchy in February 1915. The Irish Lieutenant-Colonel was so impressed with their behaviour, that he adopted them as his 2nd Battalion, as the Irish Guards were a single battalion regiment at the time. The Hertfordshire Regiment also adopted some of the Guards’ peculiarities, including numbering their companies instead of assigning letters. The 1st Battalion was stationed in England until 1920 when it moved to Sligo in Ireland, returning to England when the Irish Free State achieved independence in 1922. It was posted to Malta in 1925, to China in 1928, to India in 1929 and to Egypt in 1938. The 2nd Battalion was stationed in India from 1919 to 1925 and in Iraq from 1925 to 1926. It returned to England, from where it was dispatched to suppress the Arab revolt in Palestine in 1936. From Palestine it moved back to England in 1938. At the end of the war in 1945, the 1st Battalion was in India and the 2nd in Greece. The 1st Battalion moved to Libya in 1947 and then to Greece, where civil war had broken out. The 2nd Battalion moved from Greece to Egypt in 1946, returning to the United Kingdom in 1947. The 1st Battalion returned from Greece to England in 1950, moving to Cyprus in the following year and to Egypt in 1952. In 1954 it returned to England for the final time, and was posted to Germany for the first time in 1956 where it remained until amalgamation. The size of the British Army was reduced following the publication of the 1957 Defence White Paper. A policy of grouping regiments in administrative brigades, and amalgamating pairs of regular battalions was inaugurated. Accordingly the 1st Battalions of the Bedfordshire and Hertfordshire Regiment and the Essex Regiment were merged to form the 3rd East Anglian Regiment (16th/44th Foot) on 2 June 1958, which itself became part of a new “large regiment”: the Royal Anglian Regiment in 1964. The regiment’s modern lineage is continued directly by D Company, 2nd Battalion of The Royal Anglian Regiment. Although the regular battalion was merged into the 3rd East Anglian Regiment in 1958, the Bedfordshire and Hertfordshire Regiment name continued in the Territorial Army for a further fourteen years. On formation of the 3rd East Anglians, the territorial battalion was redesignated as the 5th Battalion, The Bedfordshire Regiment (TA). A reduction in the size of the Territorial Army in May 1961 saw the 5th Bedfords merge with the 1st Battalion, The Hertfordshire Regiment to form The Bedfordshire and Hertfordshire Regiment (TA). This regiment was disbanded in 1967, with its successor units in the new Territorial Army and Volunteer Reserve being the 5th (Volunteer) Battalion, the Royal Anglian Regiment and The Bedfordshire and Hertfordshire Regiment (Territorials). The latter unit was a home defence unit, reduced to an eight-man cadre in 1969 and eventually forming part of the 7th (Volunteer) Battalion, Royal Anglian Regiment in 1971. When the regiment was formed in 1881 the badges of the 16th Foot and Hertfordshire Militia were combined. The badge for the full dress helmet plate featured a Maltese cross superimposed on an eight-pointed star, in the centre of which was a hart (a male deer) crossing a ford. A similar design was used for the cap badge adopted in 1898, with the addition of a representation of the Garter around the central device, and a scroll with the regiment’s title. The collar badge was also the hart in a ford. The regiment wore a black and primrose lanyard on the battle-dress blouse. The lanyard was later worn by territorial units of the Royal Anglian Regiment based in the former regimental area. When the regiment was formed in 1881, it was unique in having no battle honours to display on its colours, as the 16th Foot had never received such an award in spite of having served for nearly two hundred years and having been engaged almost constantly in Europe during the first few decades of its existence. A committee was assembled in 1882 under the chairmanship of Major General Sir Archibald Alison to review the award of honours, and the Bedfordshire Regiment received honours for four battles under the command of the Duke of Marlborough fought at the beginning of the eighteenth century. The regiment subsequently received awards for past services in 1897 (for Surinam in 1804) and 1910 (for Namur in 1695). To these were added contemporary honours for fighting in the North West Frontier Province and the Second Boer War. The regiment was awarded more than seventy honours for service in the Great War in 1925, and eighteen for the Second World War in 1957. In common with other regiments, ten honours from each war were selected to be borne on the queen’s colour.